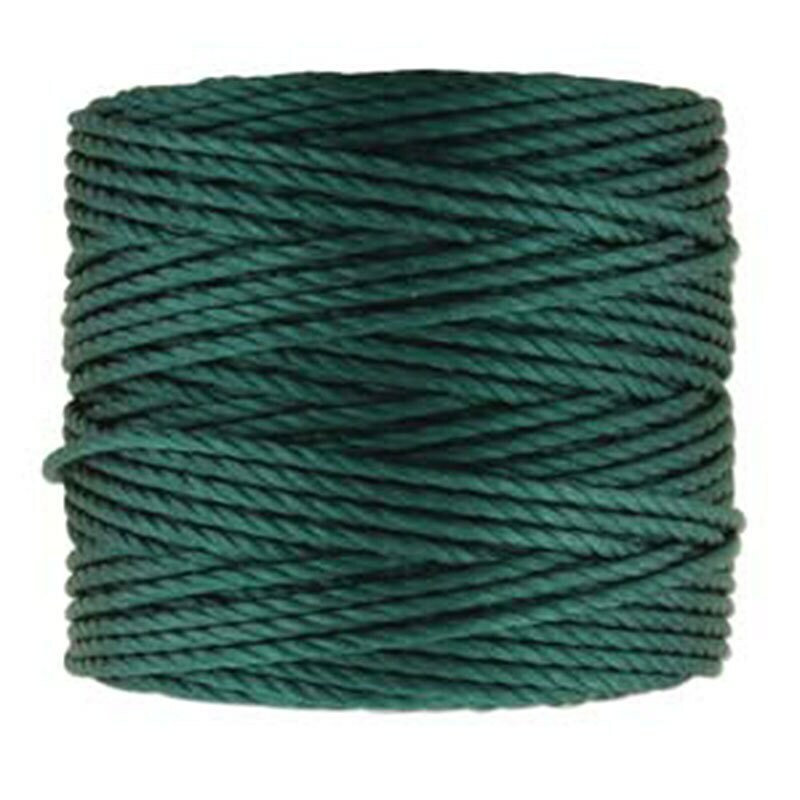 Green Blue heavy weight Superlon Tex 400 or S-Lon cord has a diameter of .9mm. It is a bonded, 3-ply, twisted multi-filament cord, similar in size to Griffin #10. You will receive one spool of teal colored cord, 35 yards per spool. This cord knots very well for micro-macrame projects and works up into gorgeous colors. It can be used for stringing beads and other techniques such as bead crochet, finger weaving, kumihimo, tatting as well as many other uses where a strong bonded nylon is required. This cord fits through most 4mm gemstone beads, Miyuki 8/0s once with a self needle and it passes easily twice through Miyuki 6/0s and larger hole seed beads.